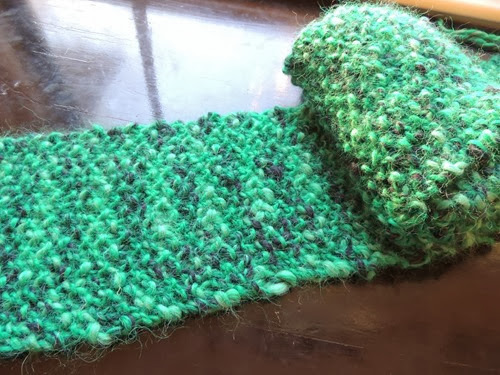 One of my goals on my list of 35 things to do this year was to knit 6 items. 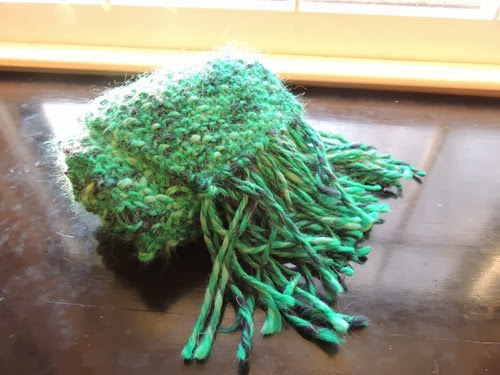 I ended up knitting more than 6, but some were small items and I never blogged about them! So today I want to share 6 things I made this year that I am proud of. 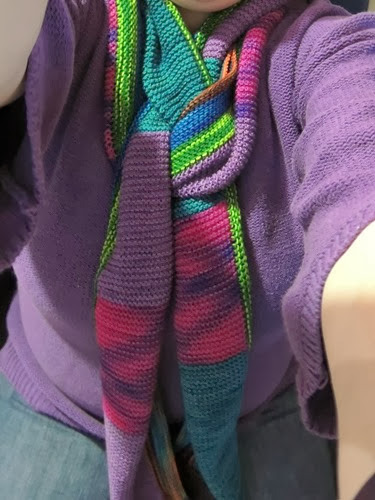 I made this scarf for Zachary’s kindergarten teacher last year as a holiday gift. I believe she enjoyed it! 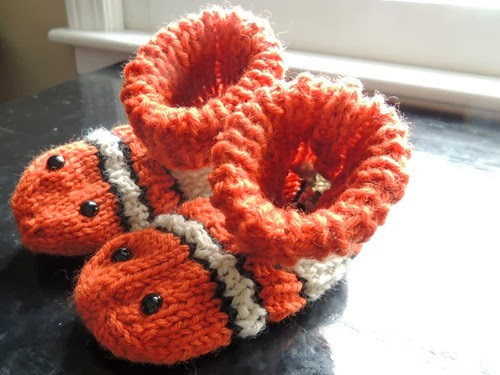 I sent these Nemo booties to Violet of Violet Imperfection fame! 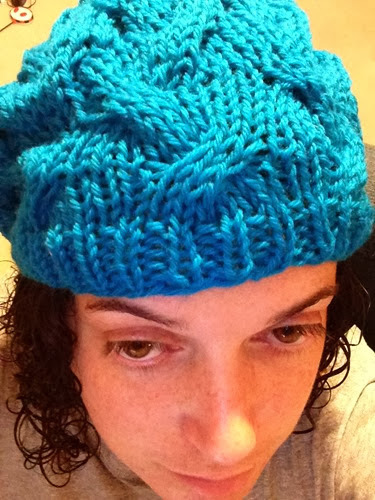 I made a few of these hats as giveaways for blogs and then I made one for me! 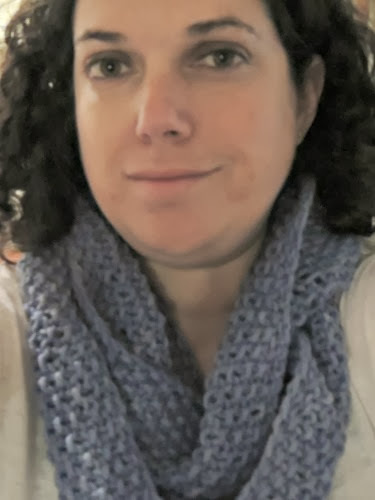 Blurry picture of blue cowl. 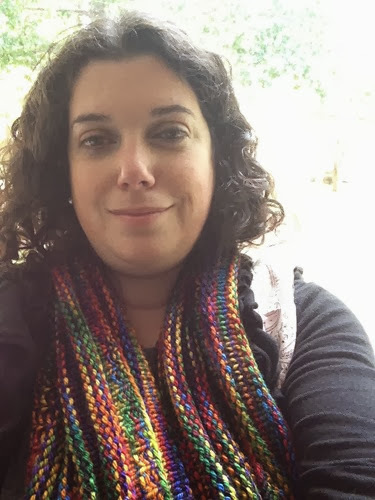 8 color scarf – you’ve seen a few photos of it along the way! 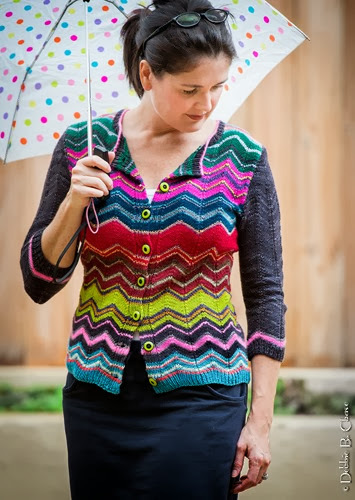 This is the sweater I’m knitting. And there you have it. 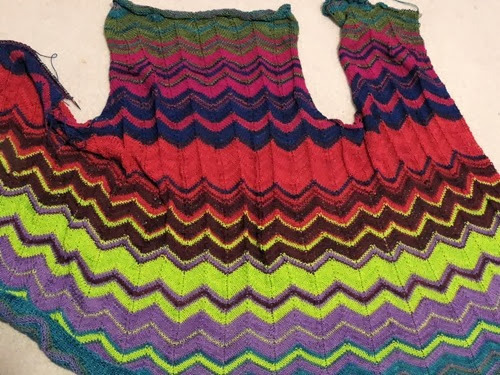 6.5 knits from the past year. What do you think? Previous Post Awesome Info and Giveaway For Kansas Citians!